We went to Blaum Brothers looking for an experience in high quality spirits. 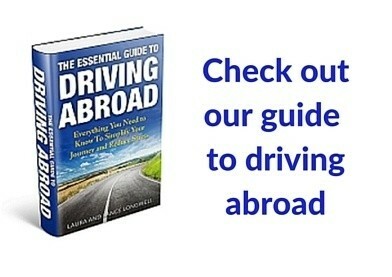 We left with a lesson in life: follow your dreams and you will meet with success. 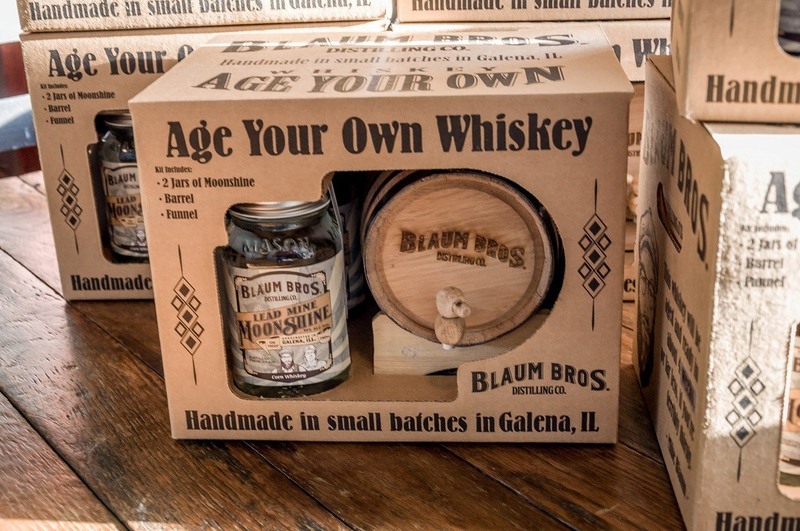 Blaum Brothers is a new craft distillery just outside the small town of Galena, Illinois. 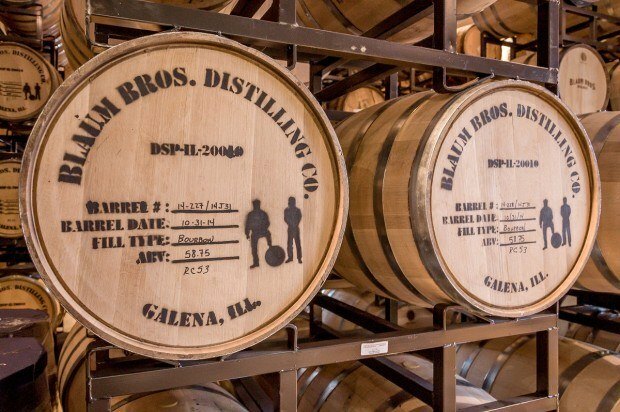 Opened in January 2014, the Galena distillery has experienced explosive growth. They proudly told us they are the #1 attraction in Galena on Trip Advisor. And while that’s great, what we really wanted to know was if the spirits were any good. We wanted to learn about their craft and taste their product. 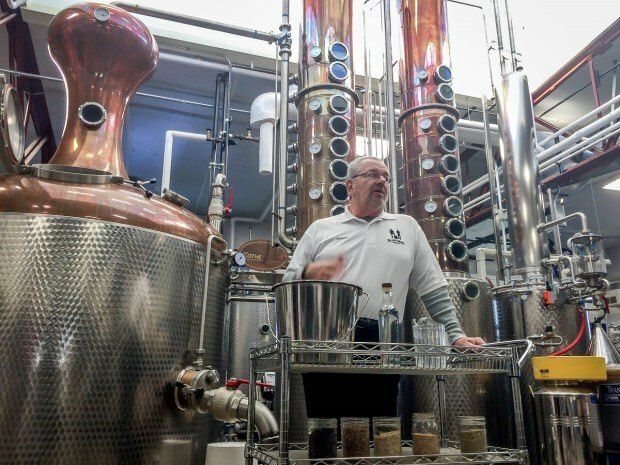 We were greeted by Mike Blaum, who told us about their history and their dreams for creating the best hand-crafted spirits in the Midwest. He and his brother Matt were both working corporate jobs, but dreamed of being their own boss and focusing on their love of beverages. 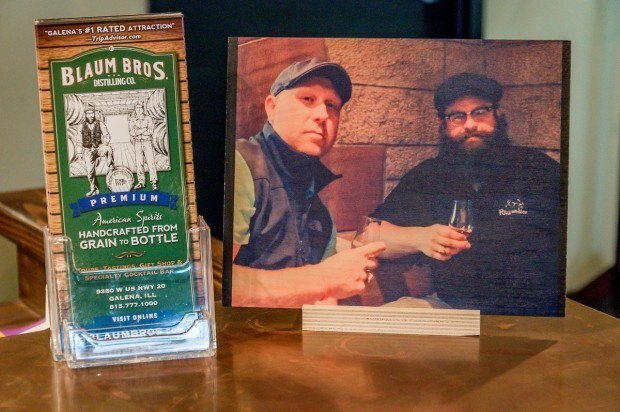 Blaum Bros. was born out of that passion – along with years of home testing and recipe perfection with Michigan State University. Our tour guide, Dennis, stepped in to walk us through the production facility and teach us about distilling spirits. 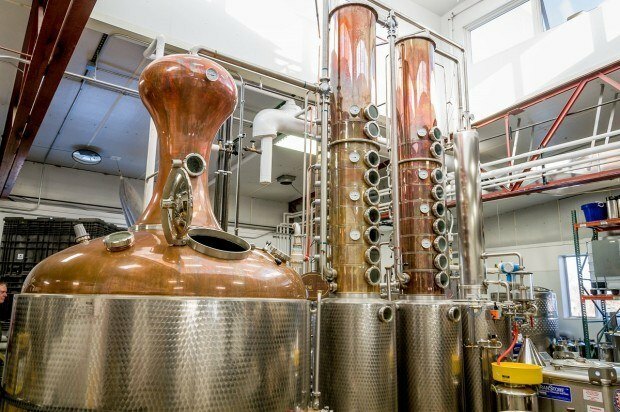 Craft spirits are a simple five step process. First, the Blaum Brothers starts with fresh grains blended to their specifications. 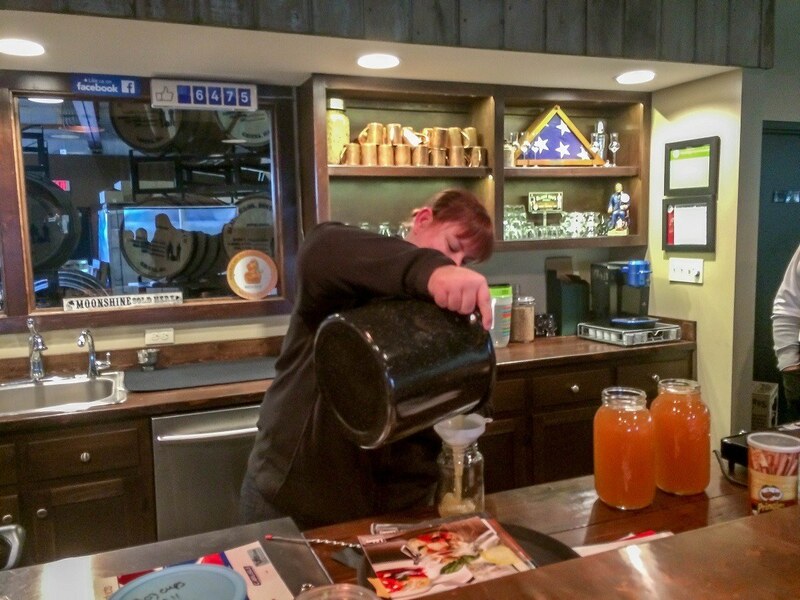 The grains are then ground on site into flour called “grist.” Second, the grist is then mixed with water and heated to begin the sugaring process (this mixture is called “wort” – the same as in beer). This process is called “mashing.” At the end of this step, the solids (called “draff”) are sorted out and used as animal feed, while the liquid moves on in the process. 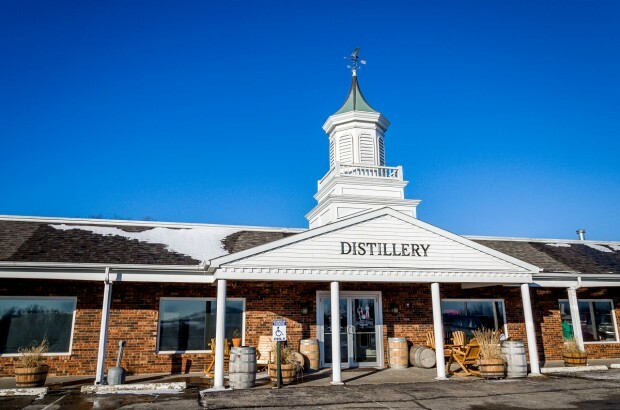 Their process is largely identical to distilleries we’ve visited in Tennessee, North Carolina, and Pennsylvania. Third, Blaum Brothers adds their yeast and begins the fermentation process. This is essentially a brewer’s beer and is quite low in alcohol content. This is where the spirit process begins. The fourth step is the distillation of the liquid (called “wash”). The copper kettles remove the sulfur & sulfites from the wash, but it is necessary to boil the liquid and capture the ethyl alcohol. 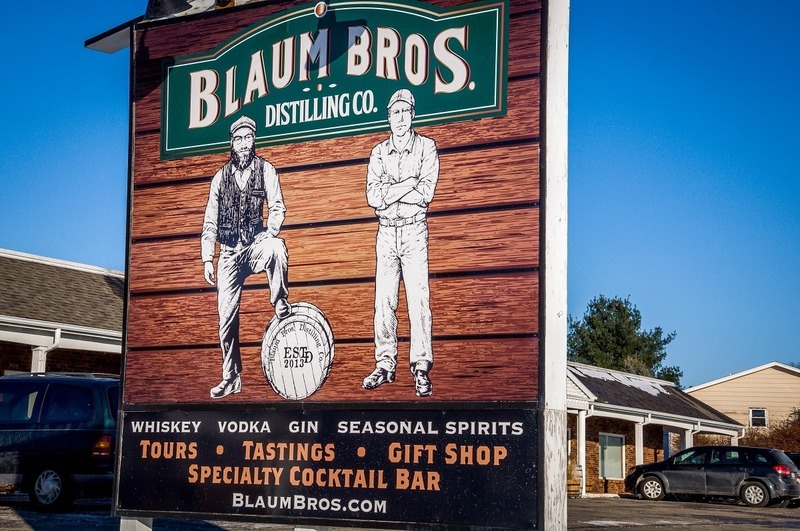 The Blaum Brothers distill three times: the first to bring the alcohol up to about 30% ABV, the second pass brings it up to about 60% ABV and the final pass brings it up to about 80% ABV. During this process the head of the distillate (called “faints”) are removed and sold as gasoline while the tails don’t have the necessary ABV and also removed. The fifth and final step for whiskey is the aging process. The whiskey is added to American White Oak barrels and set aside for aging. Since the Blaum Brothers are relatively new (2014), none of their whiskey has matured, but we’re excited to go back in a few years and try it! For vodka and gin, the Blaum Brothers use a final pass through their column still to get the liquid up to 95-98% ABV. The vodka is then bottled, while the gin is infused with juniper berries and other botanicals and aged for two weeks. After the tour, Dennis took us into the lounge area to taste their beverages: vodka, gin and the Hell Fire Vodka with habanero chili peppers. The Hell Fire was HOT! I love Bloody Mary’s and that would be perfect for it. On their cocktail menu, they have a delicious apple pie cocktail, which we agreed was excellent! 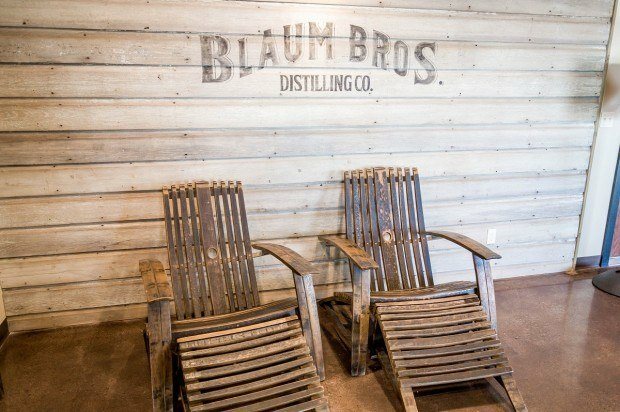 Blaum Brothers in Galena is more than a distillery. It’s a labor of love between two brothers who are chasing their dreams of making world-class spirits in the heartland. 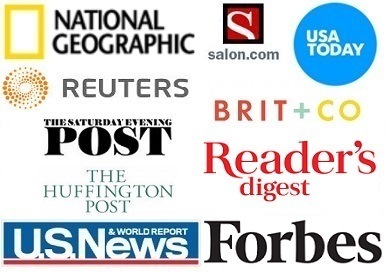 We can attest to their success! We loved our tour and look forward to returning in a few years to see how they’ve grown. 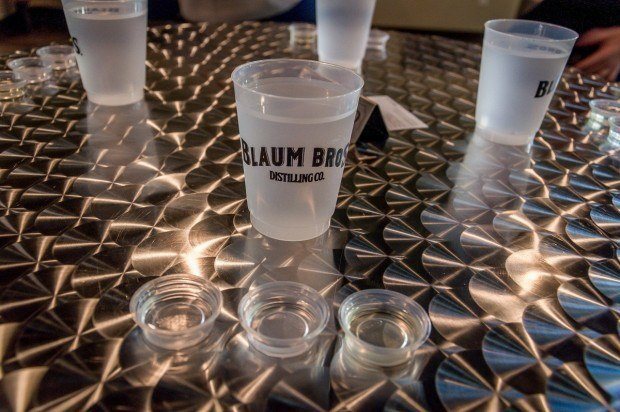 We were the guests of Blaum Bros. Distilling Co. As always, all opinions and photography are our own.